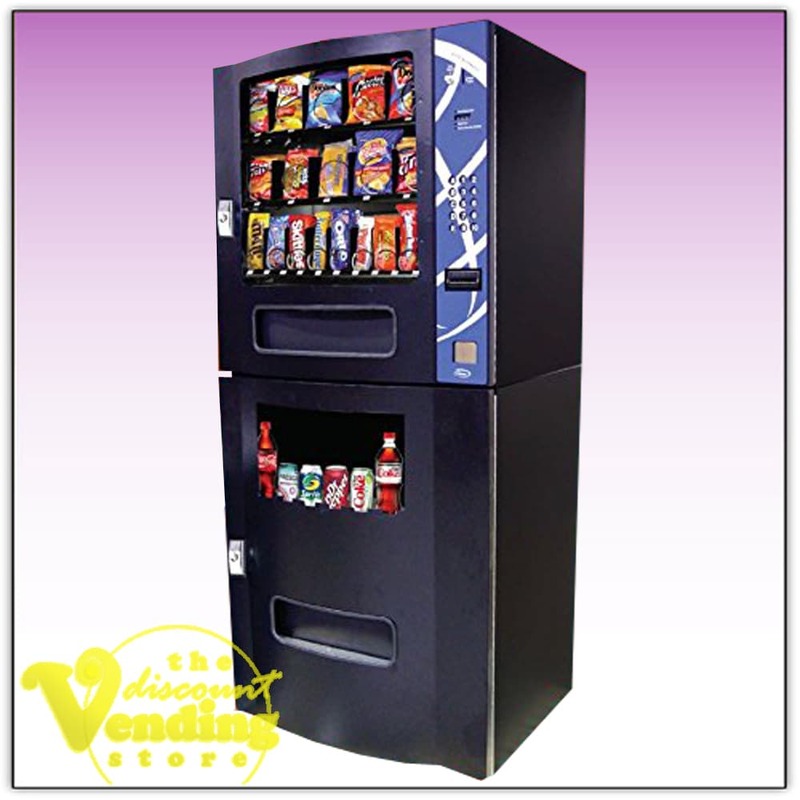 The Seaga VC630 combo vending machine is a nice looking, compact, combo vending machine which will hold six different drinks and 20 different snacks. Of the six drinks, two of them can be 16 or 20 oz bottles and the other four selections are set to be 12 oz cans. 10 of the snacks are set to accommodate bags of chips or other similar sized items, and the other 10 selections are set to be candy bar sizes. This combo vending machine contains a Dollar Bill Validator which accepts $1 & $5 bills. The coin changer will accept and dispense nickels, dimes, & quarters. 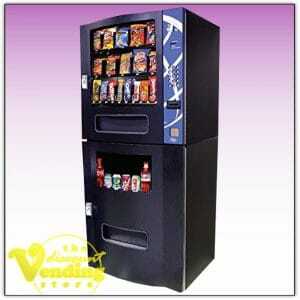 The Seaga VC630 combo vending machine is manufactured by Seaga Manufacturing. Parts for this machine are readily available from the Discount Vending Store or Seaga Manufacturing. Included with the purchase is the owner’s manual, and two sets of keys. The machine is classified as refurbished which means it has been thoroughly cleaned and tested. 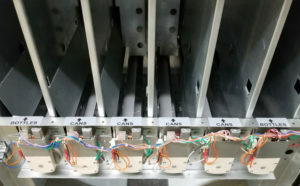 We have tested all components of the machine including but not limited to each of the motors, dollar bill validator, coin changer, card reader, key pad, LED display, and refrigeration unit, and everything was found to be in perfect operating condition. It may have a few minor scratches but nothing significant. If you would like pictures of your machine before you order we would be happy to accommodate your request. 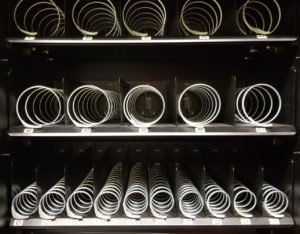 The machine includes a three month warranty on all the parts provided by The Discount Vending Store. We also provide a lifetime of technical support and assistance to you as long as you own the machine. 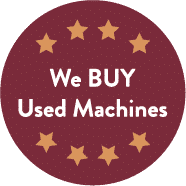 3 month warranty on all our pre-owned machines! All purchases are shipped within 1-2 business days!